I’m a little late to the party with this bit of news since I’ve been out of the country for a bit but I found this piece of news on http://www.beerpulse.com. More breweries headed to Iowa, keep it coming! 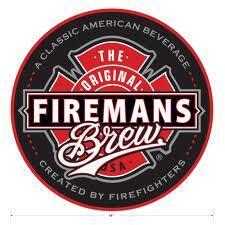 (Los Angeles, CA) – Fireman’s Brew, a Los Angeles-based craft beer company founded by two firefighters, today announced that it is continuing to rapidly expand its distribution footprint across the nation into three new states: Virginia, Iowa and Oklahoma. Through newly signed distribution agreements with Virginia Imports (VA), L&L Distributing (IA) and Quality Beverage (OK), Fireman’s Brew award-winning beers will soon be available at on-premise and off-premise locations throughout each state. This news follows on the heels of the company’s successful rollout into six new states including: Arizona, Nevada, Colorado, Illinois, Nebraska and Rhode Island over the past nine months. In addition, Fireman’s Brew recently took home top honors at the 2013 San Diego International Beer Competition, earning a Gold Medal Ribbon for its signature Brunette (Doublebock) in the German-Style Bock category and a Silver Medal Ribbon for its Blonde (Pilsner-Style Lager) in the American-Style Lager category.